There are several good watchmakers in the UK as members, and perhaps one will be along shortly. 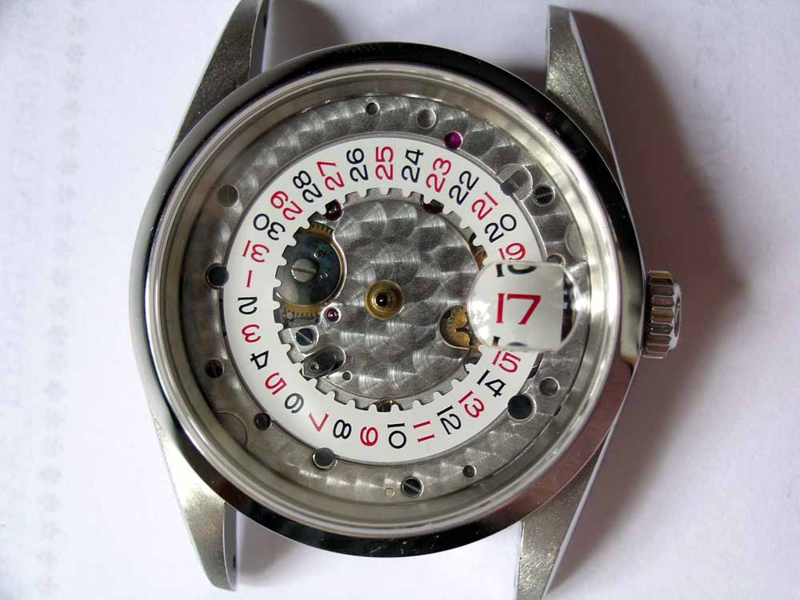 What I will say is that the watch needs to be partially disassembled to get to the date wheel, and if it is a drive pinion, or other failed part, even more needs to be taken apart. A full service is primarily labor costs, so expecting a significantly lower cost when as much labor is required for a repair may be a rare bird. It clicks at 12 and moves a bit so I guess it’s just adjustment ?? The date ring is under the dial so hopefully it can be fixed with a mimimal strip down ?? It's possible the disc has slipped from the securing clip (1-14) and has raised just enough the date advance pin (between 5-6) is just missing turning the wheel. That's best case scenario, it gets more involved from there.